3 Bedroom Semi Detached House For Sale in Leicester for Guide Price £190,000. 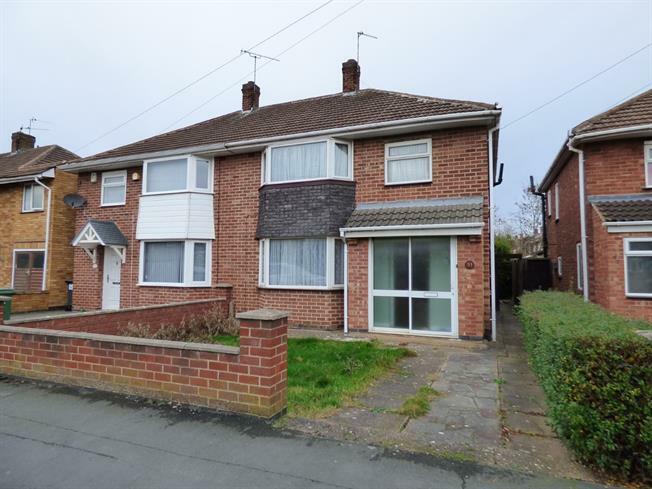 Spencers are offering for sale with no upward chain this spacious three bedroom bay fronted semi detached house. The property benefits from gas central heating. And double glazing with the accommodation briefly comprising of entrance porch, hall, lounge, kitchen, and dining room. To the first floor are three good sized bedrooms and a family bathroom. Externally there is off road parking with front and rear lawned rear gardens.